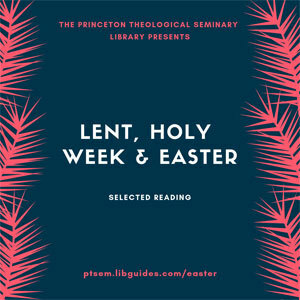 Take time to journey through the season of Lent with "God Speaks, We Speak" Princeton Theological Seminary's Lenten devotional book for 2019, devotionals from years past and other reading from the library collection. Some books for Lent, Holy Week and Easter are currently on display on the main floor Concourse near the center staircase. More can be found at the link below and in the library catalog.